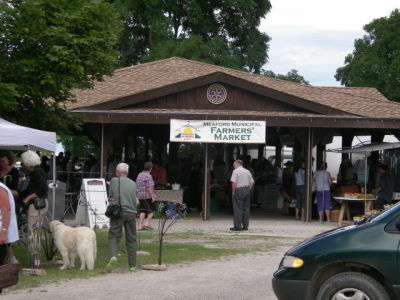 Well, the Meaford Farmer’s Market has kicked off for this Friday as we write, so once we’ve filed this report, we might just mosey on down. It’s a special market day, as the event is part of the kick off to Canada Day weekend celebrations. There’ll be live music and, taking a page from the past, surrey rides through town. And of course, there’s all the goodies you can find every week, from organic meats and vegetables and herbs to baked treats and more – with many vendors offering tasty samples to entice you to buy. This year, chef Micheline Zammit, who works at Cobble Beach Golf Club, prepares free sample dishes featuring products she’s found at the market – try her creations, and pick up the ingredients at the vendors’ booths. Beyond food, you’ll also find crafts and more. And don’t forget to get your duck race tickets (more below). Some people figure retirement’s a great time to learn new things, even go back to school. That’s what Walter Martin thought he’d do when he retired from farming in the Kindersley, Saskatchewan area and moved to Saskatoon about 10 years ago. “I wasn’t quite ready to put my feet up and spend the rest of my life looking out the window,” says the 82-year-old. So he decided to take a few classes at the University of Saskatchewan (U of S). Two weeks ago, he received his Bachelor of Science honours degree in land use and environmental studies. Some retirement! Even as he studied and did the coursework, he continued to help his son work the old farm. And what’s he going to do now that he’s earned his degree? 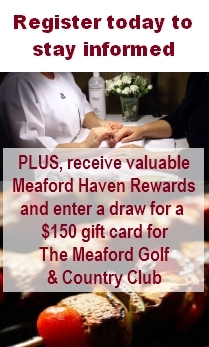 Settle into retirement? Nope. Martin’s considering either enrolling in more undergraduate courses next fall, or might just apply for a master’s degree program. Rolling Stones: Rollin’ into retirement? Or rockin’ on the road? Mick turns 69 next month. Keith will join him in December. Charlie just turned 71. And Ronnie Wood’s a spry(?) 65. Are they ready for retirement? The latest word in this speculation-denied story (in which the press first generates a rumour, and then reports the denial of the rumour, thus getting two stories about nothing, really) is that the Stones aren’t going to retire after headlining the Glastonbury Festival in England later this summer. Apparently they were “said” to be planning to strut off the stage into a well deserved retirement after celebrating their 50th anniversary with a few gigs this summer, culminating with Glastonbury. “But representatives of the band have since told NME there is no truth to the reports,” The Sudbury Star reported this week. Footsteps on the floorboards of the upper room when no one was there. An inexplicable chill that moved around the room on the hottest of summer days. Objects mysteriously moved by an unseen hand. And visitors who sensed a ghostly feminine presence in an upstairs room. 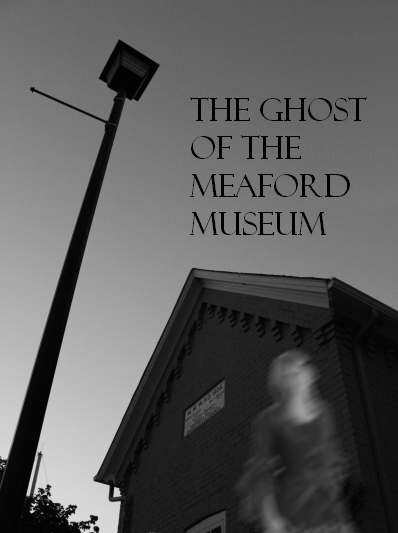 These manifestations had long led people to believe the ghost of a young woman haunted the second floor of the Meaford Museum. But clues to her identity were as evanescent as her presence. When a gentleman claimed to have spoken to the ghost for hours, Curator Pam Woolner was too shocked to press him for details that might have contained hints about her identity. She seemed to have a special affinity for an antique rope bed, an old cradle, and a child’s doll. But none of the items were connected; indeed, they came from different families and different eras. But the items suggested the ghost was perhaps the spirit of a young mother who had died in childbirth – a common enough occurrence in the 1800s. The bed and cradle had come from two old Meaford families, the Sings and the Whitelaws, so perhaps there was a clue hiding in the families’ histories. Pam searched through the Whitelaw history, and was unable to find a female who had died in her late teens or early 20s. Clues in the Sing family history proved similarly absent. “I got stumped,” says Pam. Then a volunteer at the museum said she’d had an impression that the woman wasn’t a member of the family; her name was Louise, and she was a governess for the Sing family who’d actually died of an illness in the old roll bed. Pam returned to the records for the 1880s and found a tantalizing clue. One year’s census showed a young woman named Louisa, of the right age, living with the Sings as a servant – though her position wasn’t specified. The next year, she was no longer listed. And around the same time, a child of two in the family had died of an illness. She also points out that it would have been unusual for a servant to have used such a nice, large bed. “On the other hand, if she had been quite close to the family, they may have felt that nursing her in that bed would have been more humane than in the small cot she would have had,” she says. Accessibility requirements meant the upstairs room could no longer be used for exhibit space or even office space, so fewer people climbed the narrow stairway. And with the museum’s renovation, the floor was firmed up, making noises from above barely noticeable in the rooms below. The upstairs exhibit room beneath the gables of the hundred-year-old building gathers the heat on a summer day. And with no table or desk to work at, the young volunteer prefers to lie on the floor, the text panels she’s preparing spread in front of her, pencils and pens close at hand. A 14-year-old with a passion for history, Pam loves her summer volunteer job at the Meaford Museum, and she’s soon lost in her work. She reaches for the blue marker to underline a title, but it’s gone. Of course! She knows it hasn’t simply rolled off or been accidentally kicked to the side. She’ll have better luck looking around a corner or underneath one of the exhibits – a place the marker would have no place being on its own. She prowls the room with some irritation, lifting items and peering behind furniture, until she locates the missing pen behind the wooden rocker of the old baby cradle. The ghost has been at it again! Pam Woolner first heard about the ghost of the Meaford Museum in 1994, from the curator who hired her on in her first volunteer position. Today, Pam is herself the museum’s curator, and the ensuing 18 years have left her with a host of stories of the woman who walks the upstairs room. Before the renovation of the museum in 2003, the building – which was built to house the town’s pump house in 1895 – had not been much modified. Dark rooms crowded with antique curios led visitors to a winding narrow stairway up to the small exhibit room under the eaves. 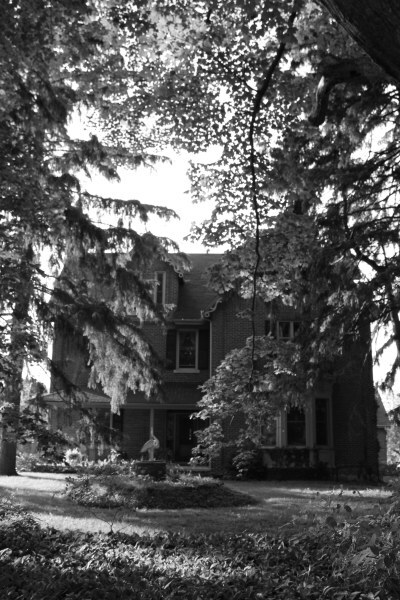 Former museum curator Fred MacDonnell once called the building a “dark, dank hole”. The upstairs flooring was the original wood, and the thumps and creaks it gave off when someone (or something) crossed it told of their passing. Visitors would comment on “the cold spot”. It was months before the items surfaced – on a shelf in the attic behind a locked door. To this day, no one who would have had access to the key has admitted to moving them. The gentleman climbs the narrow stairway heavily, and soon he can be heard moving around upstairs as he examines the exhibit. Pam has a lot of work to do, and visitors pop in throughout the day, so the shadows have grown long before she notices that the upstairs visitor hasn’t yet come down. Nearly three hours have passed, and the exhibit is small. She realizes suddenly that she hasn’t heard his footsteps in some time. He was somewhat heavyset, she remembers, and a tingle of worry crosses her spine. What if he’s fallen over, or had a heart attack, even? It’s only when she heads for the stairs to check that she hears the man descending. So who is the ghostly figure who haunts the Meaford Museum? Some have suggested her story lies in a tragic past. More on that in Part 2. Meaford’s Diane Leach has looked up to Queen Elizabeth since she was a child. She says Elizabeth provided her with a strong female role model and helped show her how to be a good mother and contributing member of society. And for more than 20 years, she’s been collecting Queen Elizabeth memorabilia. 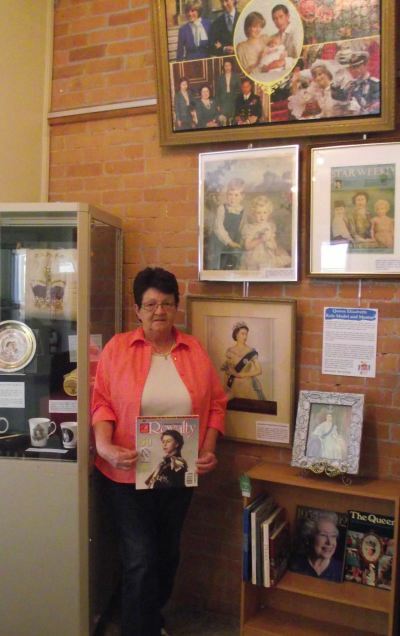 Now, to celebrate Elizabeth’s Diamond Jubilee, the retired custodian from Meaford Community School is sharing her passion with a display in the Community Exhibit Space of the Meaford Museum. The temporary exhibit, “Queen Elizabeth: Role Model and Mentor” includes china, pictures, a homemade pillow and a large assortment of books and magazines you can flip through. Have a seat in the comfortable chairs on loan from Macdonald’s Furniture, and relax with a royal read. Last week, Meaford’s Coffin Ridge Boutique Winery brought home two double-gold awards from the All Canadian Wine Championships, the oldest and largest wine competition in the country. The double-gold awards recognize the best Canadian wine in each of 49 categories. The 2011 L’Acadie took the top spot in the single white hybrids category, and the 2010 Marquette outshone all entries in the “other single red hybrids” category. 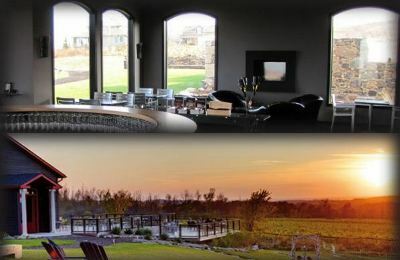 Both wines were produced from 100 percent Grey County grapes grown at the winery in the rolling hills northwest of the town of Meaford. Coffin Ridge is the only Ontario winery growing the l’Acadie white grape, which was developed in Ontario decades ago, and is widely used in Nova Scotia.